Ok, I created a new Issue on Github with some missing entities. Yes, for now it works only with groups. But Lovelace UI support is in plans. Will you be posting the source code? 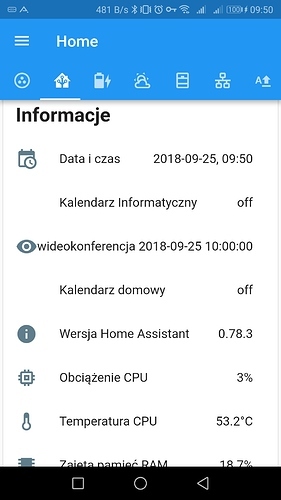 What’s the difference between this client and HomeAssist? 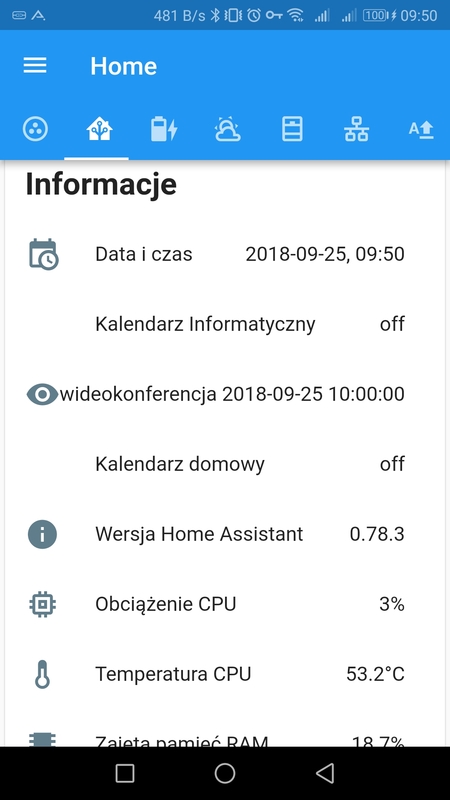 Does it support Lovelace UI? Is there a chance for IOS-like actionable notifications in the future? Yes. Not now, but definitely will. I’m trying to build a client that looks and performs as an original Home Assistant UI. My main goals is speed, widgets, wear os support and native notifications. Lovelace support is planned as well. Version 0.1.2 is in Google Play. With groups parsing fix and extended errors logging. 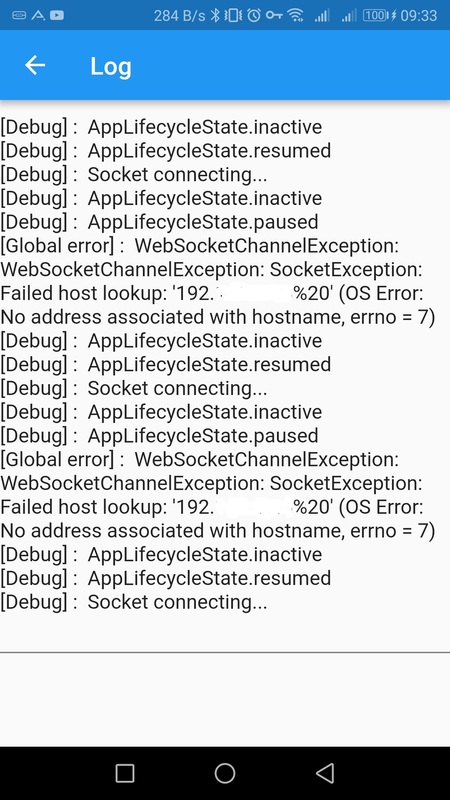 So here’s my log I think I’ve got everything set up correctly but front end showing blank. Why had I never thought of wearOS support for Hass!? Now installed on my Huawei P10 HA Client 0.1.2. Aplha and i can not connect. 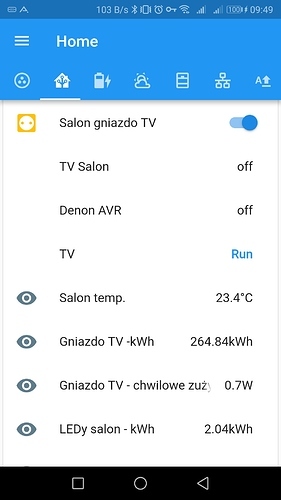 I create on Home Assistant TOKEN for my Android but i can not connect…When try connect show me CODE 1… please help me. If you don’t have default_view defined in groups.yaml, it will show blank. Will be fixed in next version. 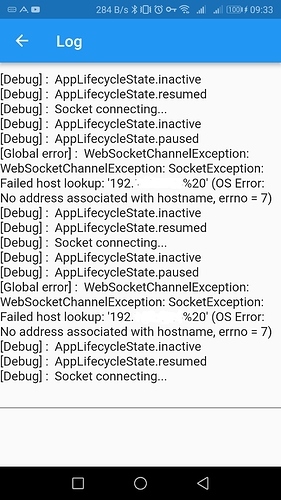 First of all go to menu - Log in app and take a screenshot of error showing there. Please report your issue with screenshot in GitHub repo. Thanks. Looks like you have an extra space after your IP address. Check your connection settings in app. I start test this app. But for first look i see that on web my first dashboard is HOME and end is DIAGRAM. In app as first show DIAGRAM dashboard and then show my Home Dashboard…And other dashboard also is not sorted as on webgui. @pepeEL, if you really want to help, please report a separate issues for missing icons, diagram and tabs order to ourGitHub bug tracker. Thanks.